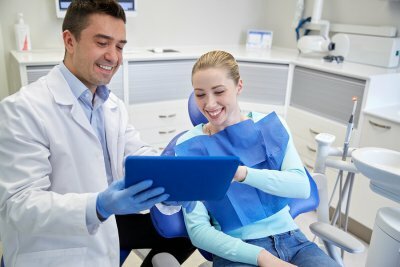 If your dentist tells you that you need a root canal, chances are that you’ll have many questions about what to expect, starting with why you need one in the first place. There are a number of different reasons to perform a root canal, but in each case, root canals allow natural teeth to be saved rather than extracted. Keeping your natural teeth is healthier than relying on dental implants and other restorations. Here is a closer look at some of the common reasons dentists perform root canals for their patients. In the case of a small area of tooth decay, your dentist may remove the decay and perform a filling. However, when the area of decay becomes large and infects deep parts of the tooth, a root canal is usually necessary. During a root canal, the bacteria causing the decay are cleaned from the inside of the tooth, and the tooth is sealed and capped. This prevents the need for removing the infected tooth and stops the infection from spreading throughout the mouth. If a tooth is treated for a cavity on multiple occasions, it is often necessary to perform a root canal. 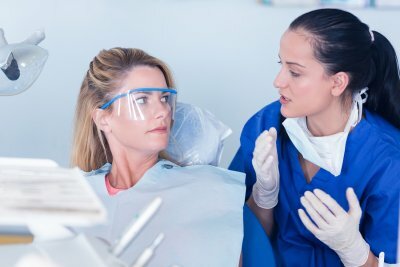 Repeated procedures will eventually lead to a significant amount of the tooth being removed, but a root canal and crown can stop the repeated infections and rebuild the structure of the tooth. When a tooth is injured, the pulp may become damaged or inflamed. In addition to causing pain, the damage to the surface of the tooth leaves it more vulnerable to infections. A root canal can remove inflamed pulp and protect the tooth surface to prevent further damage. 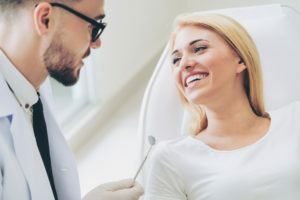 Your dentist at Park 56 Dental will be happy to answer all of your questions about root canal treatment and why it is the right choice for you. For all of your dental care needs, from root canals to dental cleanings in NYC, call us for an appointment at (646) 783–3529. A root canal may be suggested by a top dentist to treat an infection in the tooth’s inner pulp. A root canal is generally recommended whenever the pulp has become seriously damaged, and the procedure can sometimes preserve the tooth itself. A root canal may also be advisable if the tooth has developed an abscess or after a deep cavity. Always schedule an appointment with a top dentist in NYC if you are experiencing pain. Continue reading to learn more about why infected tooth pulp, an abscess, or a deep cavity makes a root canal necessary. An infection in the tooth pulp and nerve is the leading reason why the best dentist in NYC performs a root canal procedure. Infections in the pulp can occur for many reasons, including when the tooth undergoes serious trauma. For example, if the tooth becomes fractured after a fall or collision, the nerve can become severed and eventually die. When the nerve dies or is infected, you will likely need to undergo a root canal. Root canals are also performed when an abscess develops around the tooth. An abscess forms when a pus pocket forms around the end of the tooth root. If left untreated by a top dentist in NYC, the infection progresses and pus accumulates in an area of dead nerve tissue. A root canal stops the infection from spreading to the bone. Many times, a root canal procedure is performed to treat a deep cavity. When tooth decay extends to the inner pulp, the pulp will become inflamed with bacteria. The only way to eliminate tooth pain is to perform a root canal and remove the tooth’s nerve. If you are suffering from tooth pain or sensitivity, schedule an appointment with a top sedation dentist near NYC. At Park 56 Dental , our dentists understand root canal symptoms, and we will do everything to make sure your root canal pain disappears. Sedation dentistry also allows patients to experience no pain during root canal procedures. Learn more by calling (646) 783-3529. A root canal, or endodontic, procedure usually becomes necessary when the tissue inside a tooth has become infected. If left untreated, the infection can spread outward to the bone. During a root canal, the dentist will remove diseased pulp and tissue from inside the tooth, and fill and seal the tooth to protect it from future infection. This procedure allows the patient to retain their original tooth. Root canals are usually performed by dentists who have received specialized training. The longevity of a root canal treatment is dependent on a number of factors. Early treatment increases the chances of long-term success. It is also important to make sure that the damaged tooth is protected by a crown or filling. These procedures should take place as quickly as possible after the root canal itself. If your root canal is done by a professional, your tooth should continue to function for many years to come. Park 56 Dental is one of the top dentists in NYC, and our dentists are experienced in providing root canals. To find out more about root canals, visit our website or give us a call at (646) 783-3529.